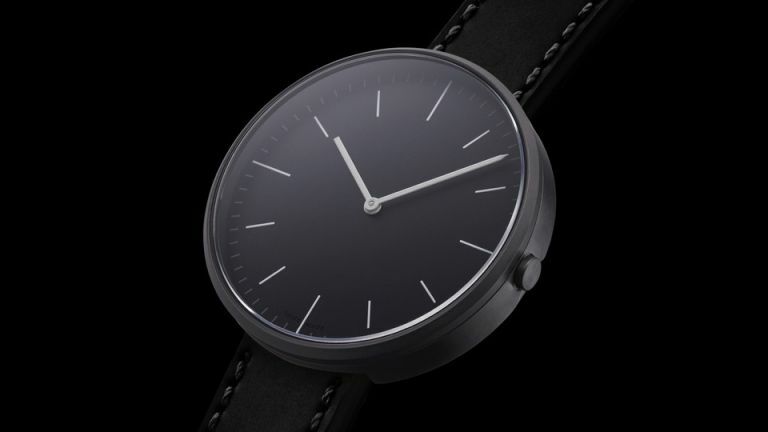 Uniform Wares has just unveiled a new watch, designed in collaboration with the Museum of Modern Arts (MoMA). The piece is based on Uniform Wares' iconic M40 model, but features a even more reduced and refined design. The stripped back dial design features delicate indices and a stark tonal colour scheme. The case features a PVD black satin brushed finish and a heavy bead-blasted bezel. Of course, 'Uniform Wares+MoMA' is etched on the caseback. A black nappa leather strap wraps around your wrist, again, featuring the 'Uniform Wares+MoMA' branding. “The pared back detailing is an exercise in discretion and versatility and makes it the perfect wardrobe staple for men and women with an appreciation for contemporary design,” says creative director Michael Carr. The Uniform Wares+MoMA M40 was designed in Ware's London studio and made in Switzerland. The piece is available to pre-order now exclusively from MoMA’s online store and the Uniform Wares website, priced at £350. That's not all Uniform Wares' has announced - the watch makers have also launched a made-to-measure design service. Made to Measure is a one-to-one service that allows you to have a more personal and direct experience with the brand and its design team. You'll be invited to Uniform Wares’ London atelier (studio), and work with the design team to completely customise your piece. You can even have bespoke watch straps commissioned, with UW working in partnership with Atelier du Bracelet Parisien (ABP). We had a recent tour of Uniform Wares' studio. It's fascinating learning about the brand and the team's attention to detail. I can imagine it's a great buying experience. There's a clear price list, so the made-to-measure service won't come with any nasty hidden costs. For more information about Uniform Wares Made to Measure service, email londonshowroom@uniformwares.com.